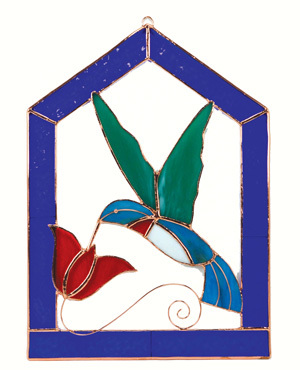 Small Hummingbird Blue Steeple Window Panel - 7 X10 inch stained glass panel with lead soldering and electroplate. Beautiful stained glass by Gift Essentials. Small Hummingbird Blue Steeple Stained Glass Window Panel.